We offer classes that are suitable for all levels. If you are new to Divine, our team can recommend specific classes for you, depending on your individual needs, and what you would like to achieve from your practice. If Yoga is absolutely new for you, please always start with a yellow class. Class description you can find here or give us a call 02-712 7100. We are happy to help you. 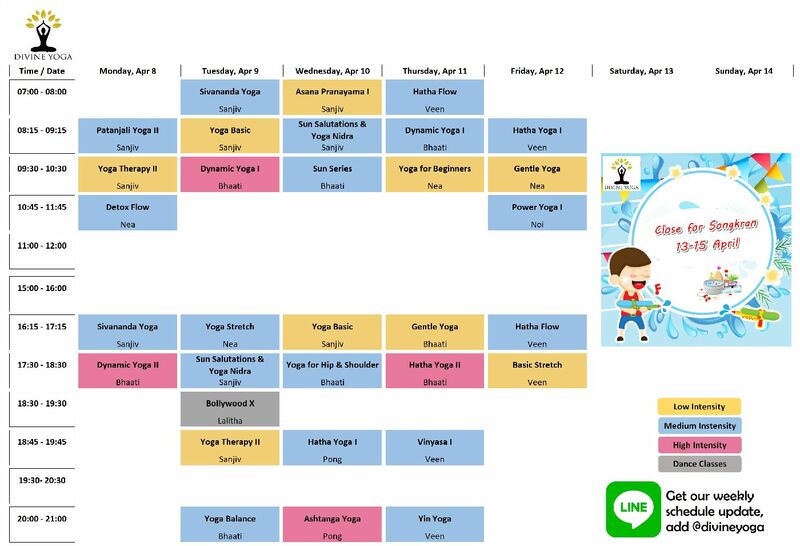 The latest schedule you can find as well on our facebook page Divine Yoga.